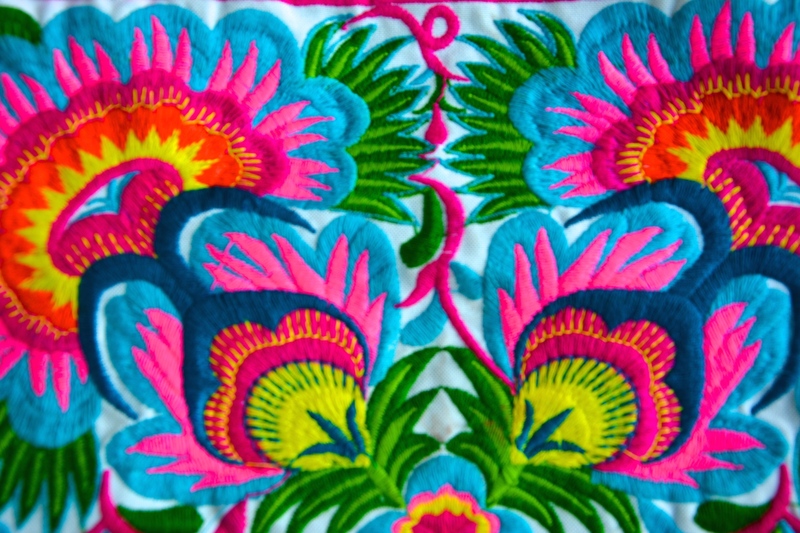 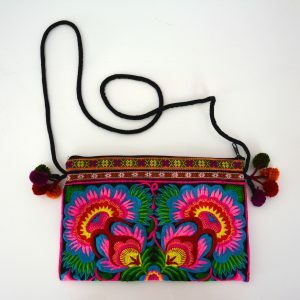 clutch with colorful flower stitchings. 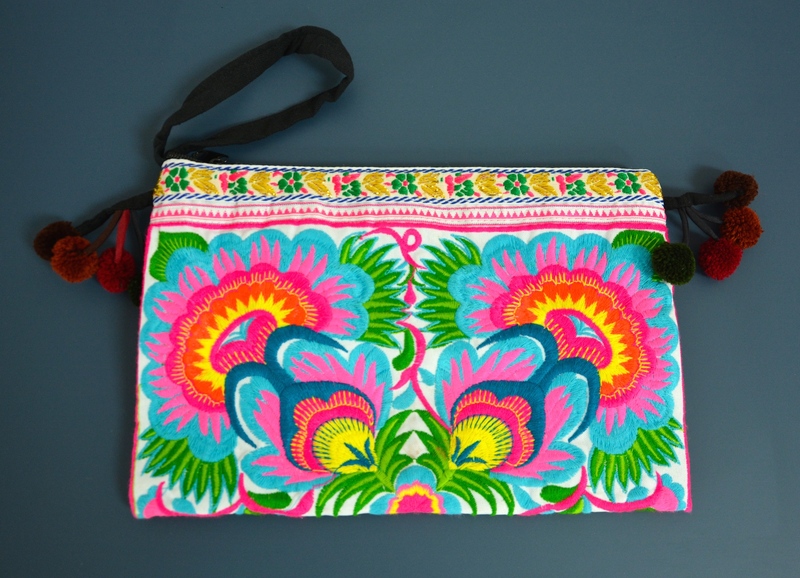 must-have summer accessory. 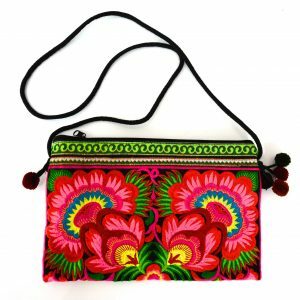 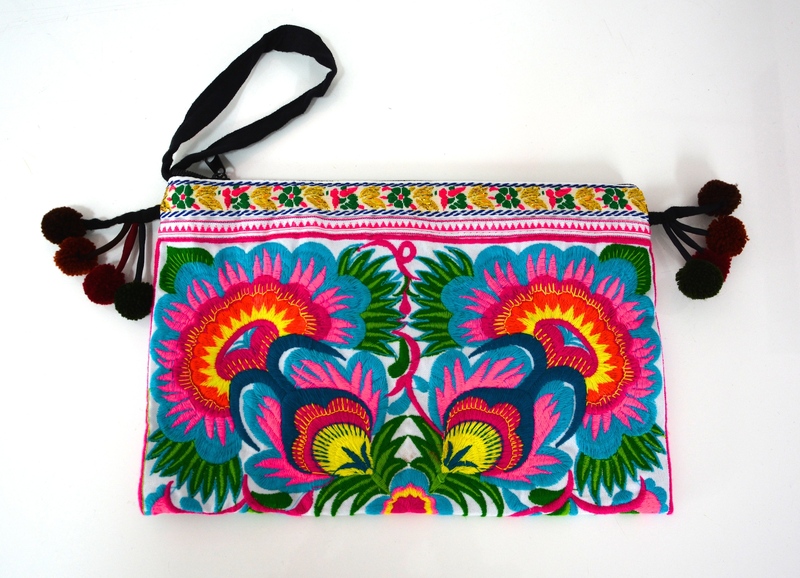 The clutch bag is made of cotton with colorful flower stitchings and has a 13.5cm long loop to put around your wrist and pompoms on both ends of the zipper. 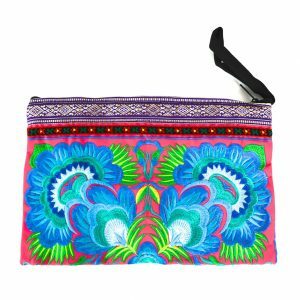 The size is perfect to fit in make-up and other accessories like mobile and keys for a night out. 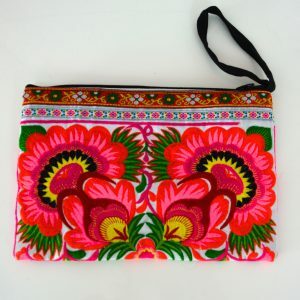 The inside is made of black cotton with an inside zipper pocket for your credit card or mobile phone. This stylish clutch is the the must-have accessory for the summer and a perfect birthday gift for your girlfriend.